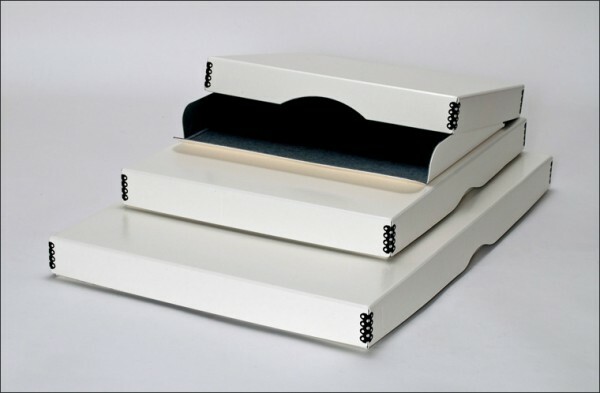 Sometimes, a “standard” 3-Inch Metal Edge Drop Front Box—perhaps the the most popular and utilitarian archival box in the world (see left-hand pix, below)—isn’t quite right for what you’re looking to store or present. 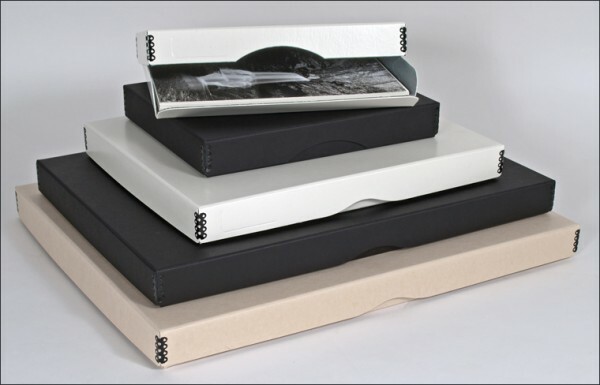 Perhaps that special set of prints / photographs / documents / or other artifacts need their own stylish, dedicated, safe and secure archival storage or presentation solution, and that’s where Archival Methods’ 1-1/2-Inch Drop Front Box comes into play (see right-hand pix, above). 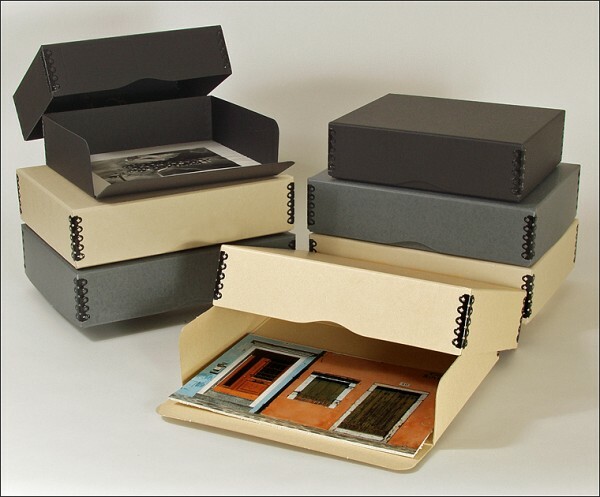 Each of our three colors of boxes (black / white / tan) is available in both standard sizes and formatted for digital prints, and our white boxes are constructed with a matte laminate coating to make them water resistant (see pix, below). 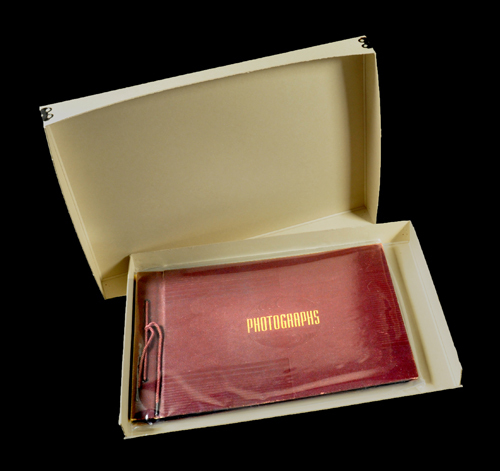 All of our 1-1/2-Inch Drop Front Boxes are manufactured from heavyweight ArchivalGrade™ boxboard, and each is made right here in the USA in Archival Methods’ start-to-finish production facility. The metal edge clamps are anti-corrosion treated with a black polyester coating, and feature a wax-free polyester finish on the blind side. These clamps provide both rigidity and high stacking strength. 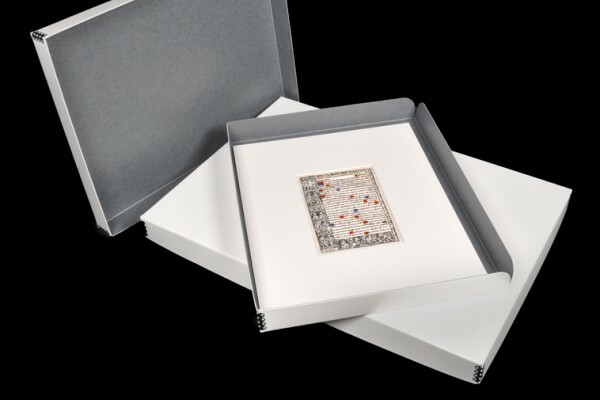 Whether you’re looking to elegantly store your collections, or wish to make a sophisticated presentation of your artwork or photographs, consider Archival Methods’ 1-1/2-Inch Drop Front Boxes. They’re strong, versatile, archivally safe, and will showcase your artwork and collectibles in the best possible light! 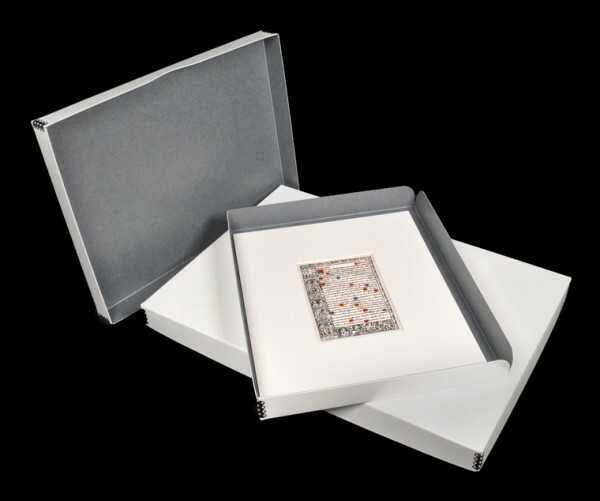 If you have additional questions regarding our 1-1/2-Inch Drop Front Boxes, or you would like more information on any of our museum-quality archival storage and presentation materials, please contact us here at Archival Methods. 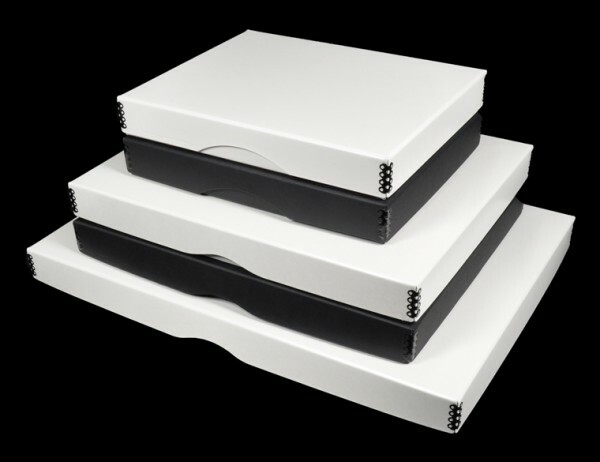 We’re always there to help with any archiving, storage, or presentation questions you may have.